Not only do traditional furniture packages offer a timeless decoration solution, they are in fact getting back in style this year. More and more living room and bedroom collections feature natural, non-tarnished wood shades. Another common trend is painted genuine wood. White has been dominating in the interiors for many years, but right now blue is gaining increased popularity. In fact, this year’s collections feature a very vast blue specter – anything from light, azure shades to deep dark blue colors are available in stores. Vintage and rustic theme, featuring the same natural wood materials, are also becoming increasingly popular. Most rustic furniture packages will be made of reclaimed polished oak. The choice will be way more impressive with vintage furniture arrangements. In this category, you will have a choice between white French style furniture; yellowish Mexican one; dark mahogany Victorian style; and, of course, almost black Spanish inspired solutions. Not surprisingly, there are dozens of contemporary furniture packages to choose from. Here, the particular trends will differ drastically from one collection to another. High gloss is one of the most popular options; different combinations of wood and glass are also quite common in recent furniture lines. A lot of contemporary collections feature some bright chrome inserts; some others will even have LED lights – the latter ones are really good in combination with glossy MDF. Finally, stylish combinations of different trends will always remain relevant. On the whole, a well-balanced mix of modernity and classic always looks impressive. Plus, by carefully balancing two (in some rare cases, even three) different styles, you get a chance to create custom atmosphere that fully matches your individual preferences. But, you will have to carefully think your picture through before you start shopping for furniture. 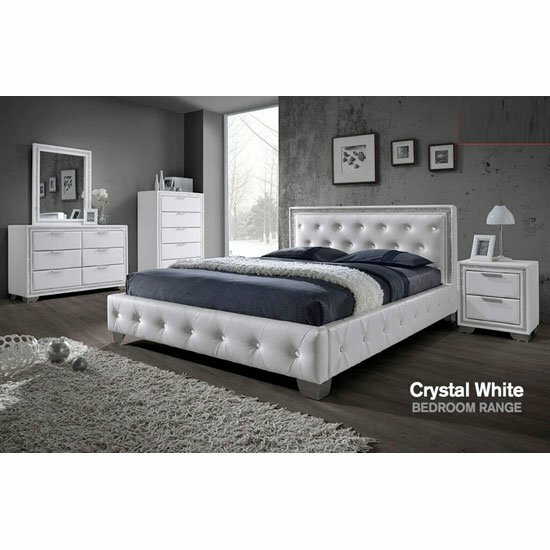 If you are looking for a store that can offer you all of the above-described furniture packages – fantastic furniture solutions for a variety of interiors, take a look at Furniture in Fashion . This is one of the most trusted UK stores, working directly with renowned manufacturers and supplying only the highest quality products. In addition, you always get a chance to personally check out any furniture piece you like in a company showroom in Farnworth. Plus, given that this is strictly local platform, all new orders are delivered within 10 business days maximum. Minor, compact size purchases take no more than three days to deliver.